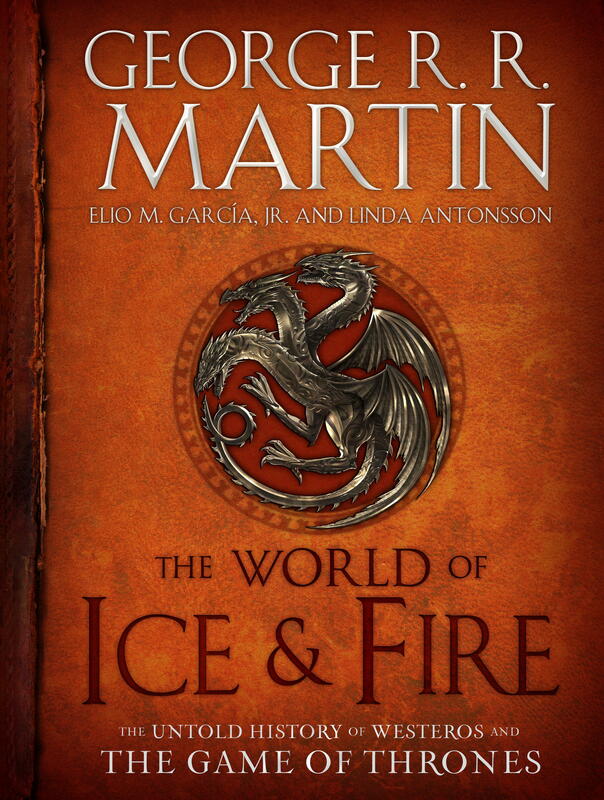 Bantam has changed the cover for our forthcoming concordance, THE WORLD OF ICE & FIRE, several times. You've seen a couple of the earlier mockups here and on my website. Now here's the latest and... I am told... final cover. 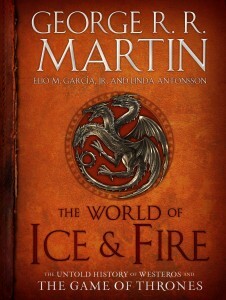 WORLD OF ICE & FIRE will be out in the fall. It is going to be a gorgeous book, a big coffee table volume with lots and lots of stunning artwork, and tons of fake history. We were supposed to provide 50,000 words of text, but... ah... I got carried away. "Got carried away" are the words I didn't know I most wanted to hear, until I heard them. I will have this book. Now I just need to figure out how to say "All men must dance" in Valaryan, and my life won't be complete, but some of the itchiness will be relieved. Looks great! Can't wait to add it to my collection. Will have to buy 2 copies (one to read & one to collect). I would fork over more $ though if you had a special edition. One that is leather bound with thick golden pages and all weathered looking as if it's been in the Citadel for hundreds of years. But what's in between the covers is what matters. And that'll give me months of good reading and re-reading. I agree. A special edition version would be awesome. Nice collector's item, too. This book cover looks good. It's nicely done. Gorgeous! I absolutely love the cover and can't wait to read the volume- about to preorder it :) Have to brush up on my Westerosi history! Cover looks great! Can't wait to read more fake history. Can't wait! I look forward to seeing how 'carried away' you got. The more the better! Will it delve into the history of Essos, Sothoryos or Ulthos? And what histories are being saved for Fire and Blood? The detailed histories of the reigns of the Targaryen kings. So so excited about this can not wait to read this. Looking forward to reading about the history of House Stark and Targaryen. Also, even reading about House Greyjoy's history. I heard the book will cover some additional parts to "princess and the Queen". Is that true?